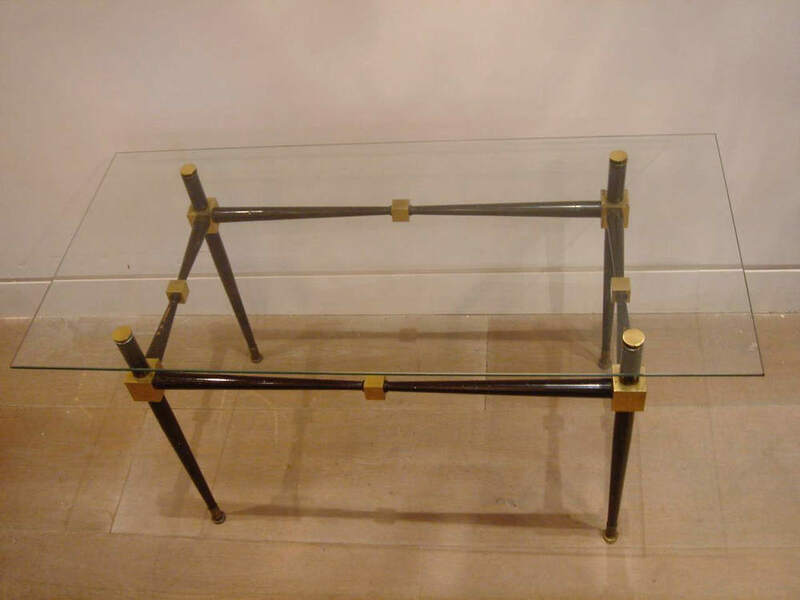 Rectangular glass top on black-painted metal tubular. Frame with gilt cube decoration. Dimensions: height 45.5cm, width 91.5cm, depth 43.5cm.